Unlocking the secrets of esthetics has never been easier! This all-new edition to the AACD Guide to Accreditation Criteria aims to help dental professionals understand and replicate what nature has already created. 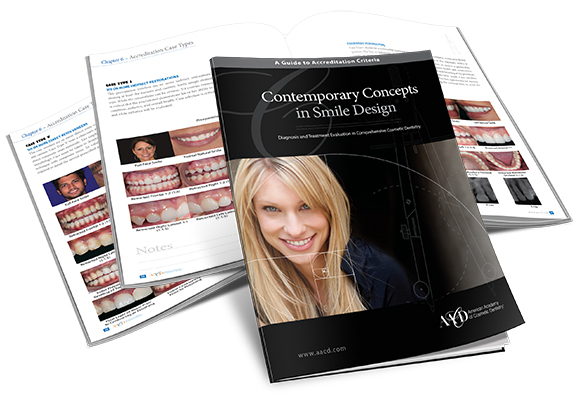 This guide, re-introduced with all new information, presents a collection of universally accepted parameters of smile design with fabulous illustrations and clinical examples. While esthetics in the purest sense is a subjective experience open to artistic impression, an established set of objective, systematic parameters and criteria must be available to help dental professionals design and guide their processes. This guide is a must-have tool for all dentists and lab technicians--especially those seeking AACD Accreditation. Get one for each operatory! This photography guide was designed to give you guidance relating to photographic requirements for an AACD Accreditation exam presentation.  AACD Accreditation is a challenging and rewarding goal and should be considered an incredible learning experience as well. As you refine your photographic technique, you will also be reviewing and critiquing your dentistry.  The camera enables you to view cases at tremendous magnification, and this provides you with a valuable tool to improve your technique. 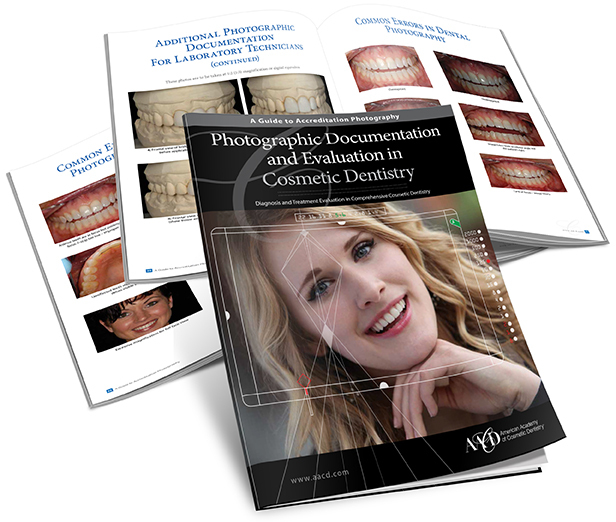 This handy booklet demonstrates how the AACD Accreditation process will give you confidence in your practice of cosmetic dentistry, credibility in your ongoing training, and provide captivating results for your patients. 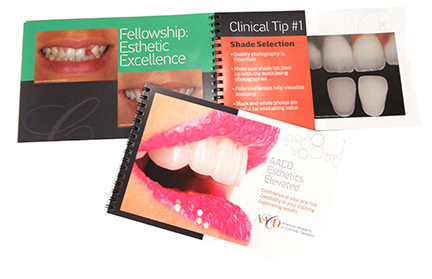 With sections on global, macro, and micro esthetics, this booklet also includes clinical tips and important information on how the AACD Accreditation process works. NOTE: This booklet is not included in the bundled set of Accreditation guides.